I was dispatched to an oil rig near Carlsbad, New Mexico at approximately 10 pm at night. I noticed an object getting brighter and brighter getting lower approx 1/2 mile dropping to 300-500 ft. 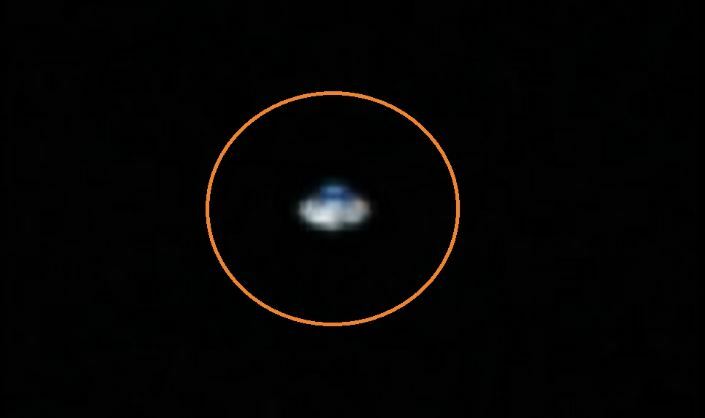 It was a disc-shaped object with a blue white light dome on top. 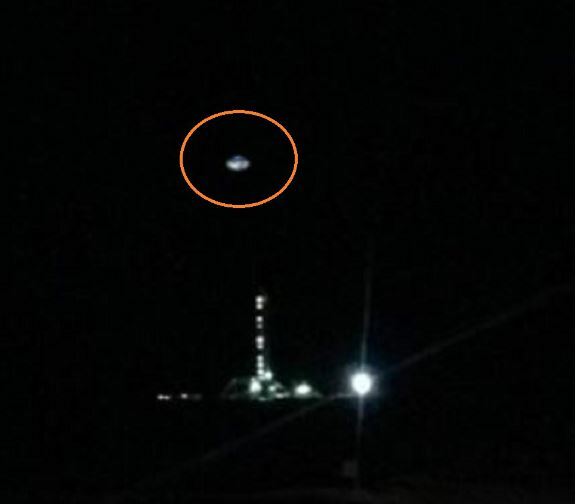 It appeared in front of my path, hovering over the oil rig; I thought it was a helicopter, but there was no noise. I turned my truck off and grabbed my cell phone and immediately started taking pictures and upon reviewing them, I could clearly see a UFO like I was seeing it with my own eyes. The object stayed over the rig for approximately 3-4 minutes, then disappeared with in a flash and was gone. It was a beautiful but frightening experience at same time; all I could think about was hurrying up and getting to the rig to be with others so nothing happened to me. A few others saw this as well, as we spoke it for 2-4 days then dropped it because we thought we were going to be investigated by the Men-in-black, so we made a pact to never to discuss this again. About 4 months later during day time, a bright object came back to another rig at the same height and again no noise. I couldn’t believe what I was seeing; this was scary stuff, this object was so bright I really thought someone was going to get abducted. This time, everyone saw this object and after I snapped a pic with my phone; it was gone in the blink of an eye. I couldn’t believe it; 2 UFOs in 4 months.